Quality Custom License Plate Frames! Thriftysigns can make you a personalized license plate frame for business or personal use. Our custom license plate frames include top and bottom personalized text or art. Available for cars and trucks, as well as motorcycles. Our license plate frames are available in black or chrome. We also have many fonts and colors to choose from. Only use fade resistant vinyl graphics are used, which is rated for at least 6 years, so your license plate frames will still look good over time. Quantity discounts are available, so the more you order, the more you save! 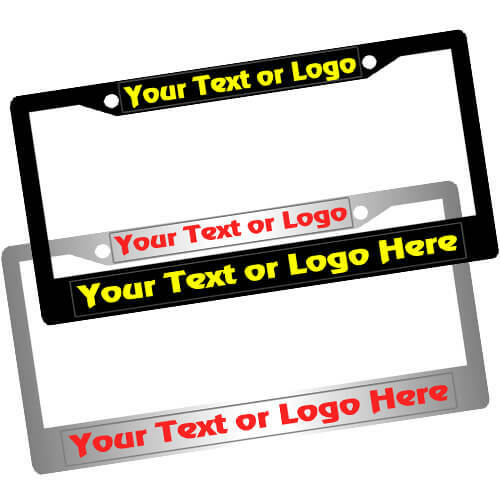 Design your own personalized plastic custom license plate frames for business or personal use. Quantity discount pricing will be shown in cart. 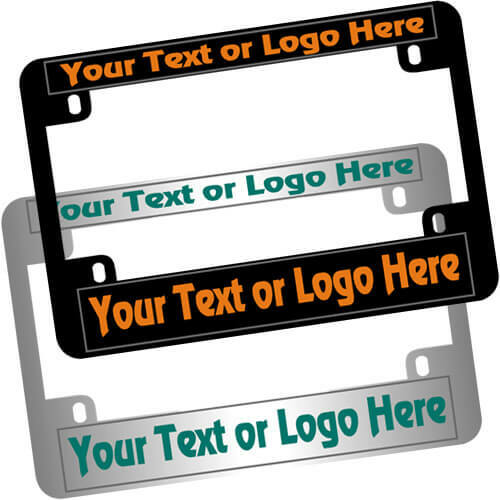 Design your own personalized custom license plate frames for business or personal use. Quantity discount pricing will be shown in cart. 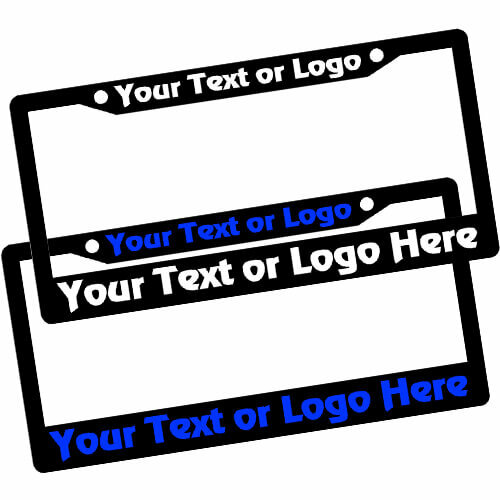 Design your own custom motorcycle license plate frames for business or personal use. Quantity discount pricing will be shown in cart. 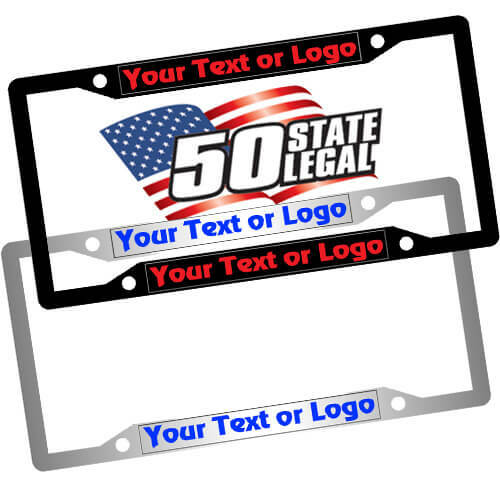 Metal thin panel custom license plate frames - Street legal in all 50 states. Quantity discount pricing will be shown in cart.